KEEP YOUR BOAT FOR FREE! BOAT OUT YOUR BACK DOOR! GULF ACCESS! 3 bedroom/2 bath, second floor unit at water's edge. 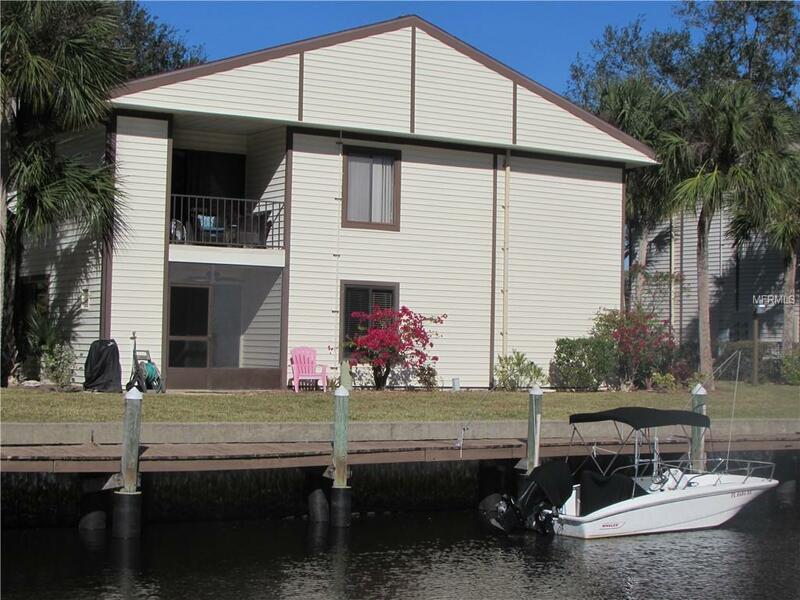 Relax & enjoy the breeze & water views from your open balcony; watch the dolphins & manatees swim & play; step into your boat & cruise out to the barrier islands; throw a fishing line off the dock or park your chair along the boardwalk & get lost in a book! Recently refreshed, condo offers sizable bedrooms, numerous closets, inside utility & outside storage space. Complex amenities include waterside pool, casual clubhouse, waterside docks & boardwalk, gazebo picnic area & bike/kayak/canoe storage racks. Location close to everything Tarpon Springs has to offer - shopping, restaurants, Sponge Docks, golf course, beaches, parks! Tarpon's BEST kept waterfront secret! Love where you live! Additional Lease Restrictions Tenants Must Be Approved; Have Written Lease in Place; Fill Out Application/Pay Processing Fee. Pet Restrictions Pets Must Be Approved & Registered With The Association; Leashed When Outside.